A new electric rideable has been launched via Kickstarter this week in the form of the electric Scooterboard which is available for VIP early bird backers from $359 with shipping expected to take place during November 2017. Watch the demonstration video below to learn more about the “unique lean-to-steer” front axle which is powered by a motorised rear wheel and a fork mounted swivelling front truck. 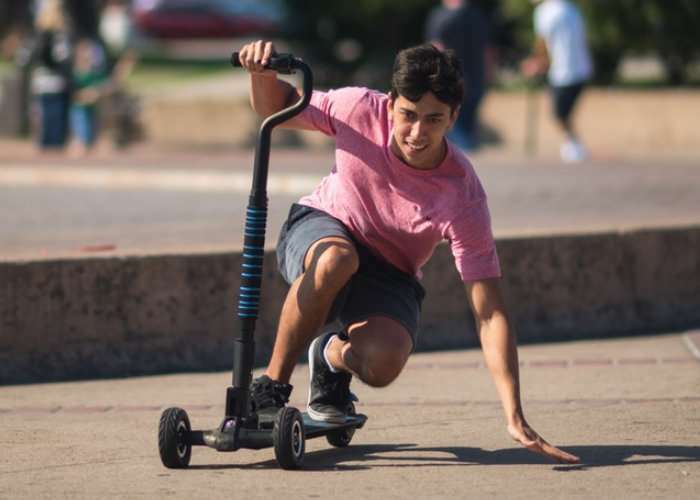 Scooterboard is an electric rideable with 3 wheels and a single-handed handle. Its lean-to-steer axle makes cruising and maneuvering easy. We’ve combined two experiences: Riding sideways and leaning to steer like a skateboard with the handling stability of a scooter. Whether using it for your commute or for your leisure, Scooterboard is an exciting and effortless way to get around! Scooterboard comes from an international team who is truly passionate about the product; we’ve poured our hearts, souls, resources (and a lot of coffee for those late nights) into this. 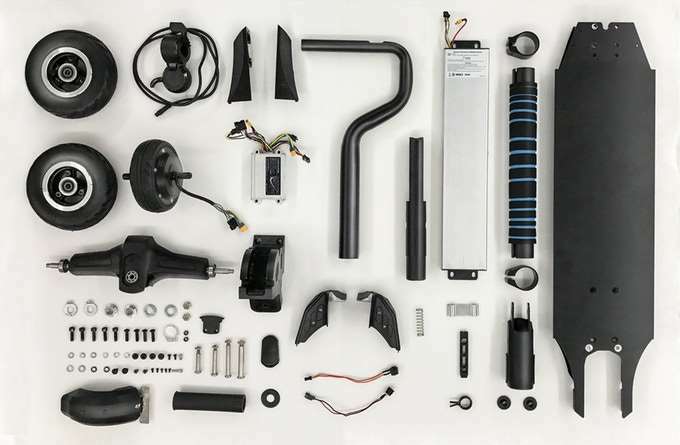 Our engineering team has designed and produced electric rideables for nearly a decade. We started developing the first version of Scooterboard in 2014. Our goal was to create a unique electric rideable that was easy to ride and a cool experience. For more information on the Scooterboard and a full list of all available pledges jump over to the Kickstarter campaign page by following the link below.